StrongVPN offers no log policy with 30 days money back guarantee and it is compatible with multiple devices and OS. It offers 650+ VPN servers in 20+ countries that provides unlimited bandwidth along with strong encryption upto 2048 bit. StrongVPN offers BitCoin payment method with 24/7 customer service. StrongVPN has no free trial. It also restrict users with limited server switching in one connection. It does not support P2P file sharing. The biggest drawback of StrongVPN is its origin which is based in USA. On the surface, StrongVPN is a perfect VPN as it has strict no logs policy, bitcoin payment, extensive compatibility, VPN servers, strong encryption options, 24/7 customer support, and unlimited bandwidth. However, when you go beyond the exterior, StronVPN has certain serious issues like limited server switches, no free trial, unsatisfactory money back guarantee, and limited VPN network. StrongVPN is hiding for more than 2 decades. The company started as computer sellers then moved to dial-up internet services and after few more twists and turns ended up in the VPN industry. So it has seen different phases of the internet and applied the wisdom gained through experience in their VPN services. It is based in San Francisco, USA. Interestingly, their core team from 1995 is still part of the company. They manage around 540 servers throughout the world. StrongVPN has hired a team in different corners of the globe to look after their services. StrongVPN believes in the open and free internet. Their efforts and energies are dedicated to ensuring each customer gets access to secure and free online world. We don’t know if it is a feature or not but definitely it is needed to be mentioned here. Although StrongVPN has 500+ servers in 50+ locations of 22 countries, it doesn’t allow unlimited server switches like other VPN service providers. It is a major setback since unlimited server switches is a trait of every VPN provider. Earlier, the number of server switches allowed depended on the package you had purchased. The high-end packages had more server switches than lower range packages. Now the company has changed its policy and now there are only two pricing packages. However, the problem of server switching remains the same. In fact, you can buy server switches for extra money – 10 switches for $5/month, 20 switches for $10/month, and 30 switches for $15/month. It seemed like the limitations on server switches have been carried on the protocols and encryption settings as well. Earlier, StrongVPN offered different kinds of protocols but they all didn’t come in any single package. Different protocols were part of different packages. StrongVPN has PPTP, L2TP/SSTP, and OpenVPN (SSL) protocols. This VPN had packages based on protocols. There was a PPTP package (came with PPTP, L2TP and SSTP protocols), OpenVPN package (came with PPTP/L2TP/SSTP or OpenVPN [SSL] protocols), and Premium Open and PPTP package (offered all protocols). However, the company realized how ridiculous this setup was and changed it. Now the two pricing packages come with all the protocols and encryption options. After two consecutive limited features, finally, there is something that will make you happy. StrongVPN provides good connection speed and it also offers unlimited bandwidth. These features seem like a perfect combination for consumers who have chosen the StrongVPN to enjoy long binge watching sessions online on Netflix, BBC iPlayer, Hulu or just watching the downloaded TV series or movies from the Torrent. P2P file sharing is a bone of contention for many VPN service providers. Since downloading TV shows or movies are illegal in most countries, VPN providers don’t allow P2P file sharing to avoid the unnecessary fuss. However, StrongVPN has enough guts to provide this option to its customers. StrongVPN is committed to safeguarding user information at any cost. The first and foremost evidence is StrongVPN’s no logs policy. StrongVPN maintains records of no user activity or connection logs. If the VPN provider doesn’t have the information, it cannot misuse it or sell it or provide it to any authority upon demand. Secondly, StrongVPN offers BitCoin payment. An anonymous payment method is a perfect way to keep yourself a secret even from your service provider. Also, it shows that the company has no interest in collecting your personal details. People who want to keep their identity hidden, even from the VPN service provider, should pay via BitCoin and use a disposable email address to sign up. All VPN service providers offer an affiliate program to help spread their services to a larger audience. These affiliate programs often come with lucrative offers for the affiliate partners. StrongVPN has a comprehensive and well-defined affiliate program. StrongVPN is a reliable service provider so it is easy to recommend it to people. The partner gets up to $40 for every sale. 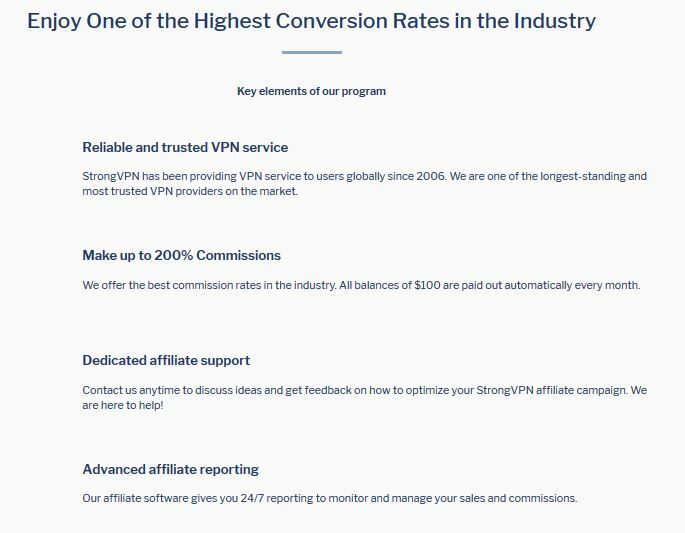 The commission rate is arguably the best in the VPN market. StrongVPN also has a dedicated affiliate support team that helps the partners to optimize their sale campaign, bring in more people and make the most profit. Also, StrongVPN has a clear reporting method. Partners can see their status 24/7 and manage sales and commissions accordingly. StrongVPN has an extensive support available for Windows in its support center. StrongVPN is compatible with Windows XP, Windows Vista, Windows 7, 8, 10, Windows Phone, Windows Mobile, Mobile Surface and Windows RT. The detailed tutorials are provided for each version of Windows for different protocols. StrongVPN’s dedication for the Windows platform is commendable. StrongVPN for iOS comes with all sorts of support and help. The support center is filled with multiple setup tutorials and manuals to install StrongVPN on different versions of iOS. The layout of the app is amazing. It is easy to use and navigate. 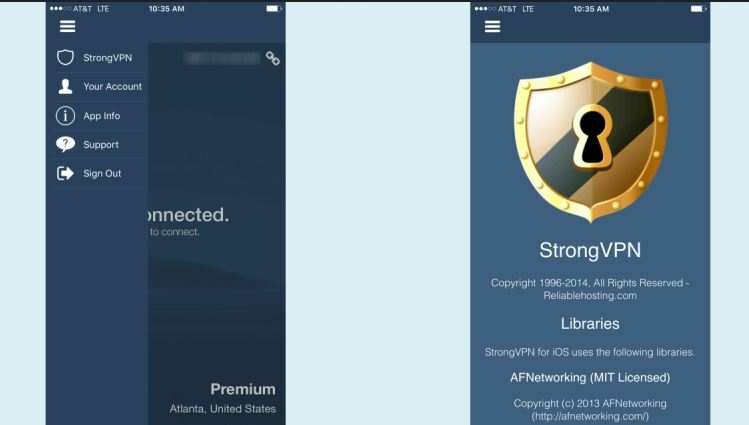 iOS users will surely like StrongVPN app. 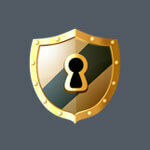 StrongVPN for Android has all the qualities and features to safe and protect you online. You can find tutorials, guides, videos, and other support material for Android in the support center of StrongVPN. Similar to iOS, the Android app is amazing. The user experience of Android app is pretty good. StrongVPN for Mac will fulfill all your needs if you are a Mac user. The support center has complete material for different versions of this operating system. In comparison to Windows, StrongVPN still needs to improve and work for this particular operating system. StrongVPN also supports Linux, Ubuntu Linux, Amazon, Bada, HP web OS, Chromium OS/Google Chrome OS, DD-WRT routers, TomatoUSB, Sabai Router OS, Mikrotik RouterOS, Boxee Box, and pfSense. The support center has respective guides, tutorials, and instruction manuals for all these operating systems. However, there is a slight drawback here as StrongVPN doesn’t support Blackberry. So Blackberry users must find out another VPN service provider. StrongVPN has two pricing plans that have been explained very easily on the web page. However, that was not the case always. Earlier, StrongVPN had based its packages around features rather than prices. So it was hard to figure out how much a package will cost and what feature will it have. However, they have learned the lesson and came up with an idea of simpler packages based on prices. If you are looking for a free trial of StrongVPN, you will be disappointed to know that it doesn’t offer one. The reason is pretty understandable. People usually abuse the free trial option and often there is so much traffic on free trial options that customers cannot get the best VPN experience. That’s why most VPN companies prefer not to offer free trail although it is a huge inconvenience for the customers. StrongVPN tried to cover up for its free trial lacking by providing a very limited 5-day money back guarantee. Again, if we compare the money back guarantee offer with that of VPN industry giants then 5 days are not at all enough. Most VPN providers give at least a 30-day money back guarantee. However, something is better than nothing. 5 days give enough time to customers to gauge StrongVPN’s services. StrongVPN FAQs are divided into multiple sections for the ease of readers. The first thing you will notice on the FAQs page is the language support. The FAQ section can be accessed in four different languages. This helps people from different countries. This gesture shows that StrongVPN is there to accommodate customers from the world and has a diverse customer base. Regardless of language, FAQs are helpful. Support form is similar to “submit a ticket” option. Support form basically asks you a few questions about your problem. You have to select a few options and explain your problem. You must submit a valid email address as well. The StrongVPN’s support team will reply you on the provided email address. The support form is not one of the fastest modes of communication but it definitely solves the problem. StrongVPN has dedicated a page to setup guides. It is one of the most comprehensive setup guide web pages we have ever come across. You will find multiple tutorials with different protocols for windows, Mac, iOS, Android and other OS. StrongVPN has also mentioned a few tags in front of selected tutorials like recommended, video, forum etc. In totality, the setup guides, instructions, and tutorials are provided in detail by StrongVPN. However, StrongVPN has a very strong stance on file sharing. So any violation there and you will immediately receive a notice from StrongVPN which may lead to termination of service. Another area of concern is the inability to choose encryption option. You may be either using 128-bit encryption or 256-bit encryption. There is absolutely no way to pick your own encryption level. The android app has OpenVPN by default and the iOS app has an IKEv2 protocol by default. You can definitely change the protocols as per your requirement. Lastly, a special mention of BitCoin payment as it allows you to pay anonymously and keep yourself a secret even from the StrongVPN. StrongVPN has a decent network of VPN servers in the world. However, there is a slight reservation as StrongVPN VPN servers are present in 22 countries only. It must work on adding new countries to its portfolio because more countries mean more options for the customers. StrongVPN pricing packages are lucrative as well. The monthly package will cost you more than the yearly one. Just $5.83 a month for StrongVPN is not a bad deal. This VPN provides top-notch features as well. The issue with server switching is absurd and StrongVPN should think about it. However, StrongVPN has amazing protocols encryption levels that will spread an impenetrable layer of protection over you. We loved it’s no logs policy and BitCoin payment as it guarantees the company has no intentions of tampering with your personal data. Also, it is based in the US, which is not too thrilling but StrongVPN has given us no reason to doubt its commitment to privacy. StrongVPN is compatible with most OS and devices. It doesn’t support Blackberry but it is ok since Blackberry is not a mainstream device. We can live with this flaw. The customer support department has really impressed us with their knowledge, friendliness, and care for customers. The support center of StrongVPN is one big box filled with everything a VPN user may need. Definitely, we cannot help but mention the lack of free trial and a very unsatisfactory money back guarantee. A 5-day money guarantee needs to be replaced with a more lucrative one. Of course adding more days can fix that. However, the money back guarantee can be claimed without explanation so that’s a plus. All in all, StrongVPN is a great contender in the long list of VPN service providers. We found plenty of reasons to love StrongVPN. If we have to sum it up in two reasons to choose StrongVPN then we will go with cheap pricing (yearly) and rich feature list. It is a great combination. The customers are the king for StrongVPN. The company is there to serve them with their experience and expertise. There are certainly gray areas like strictness on file sharing, limited money back guarantee, and headquartered in US but nothing that should stop you from considering it seriously.